As if that wasn’t enough, even the base trim of the CLA can accelerate from 0-60 mph in just 6.9 seconds. Find out more about the performance capabilities of this model today! The base trim of the CLA includes paddle shifters, a four-wheel independent suspension, and electromechanical power steering for an aggressive driving experience. Consider an adjustable suspension, perforated front brakes with red calipers, or constant-ratio electromechanical power steering to improve the CLA’s racing abilities. Reviewer Kelley Blue Book says 4MATIC® all-wheel drive adds “all-weather peace of mind,” and when you’re navigating Stockton roads, you’ll be glad you added it. The 4-cylinder in the CLA 250 returns 24 mpg city/37 mpg highway, some of the most impressive fuel economy numbers in its class. Why Could the Mercedes-Benz Be the Best 4-Door for Me? Want to learn more about the thrilling 2018 Mercedes-Benz CLA? 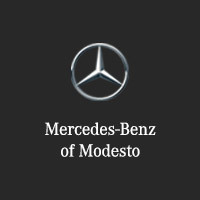 Turn to Mercedes-Benz of Modesto, just a short drive from Merced. Compare the CLA to the C-Class, then schedule a test drive to experience CLA excitement firsthand!